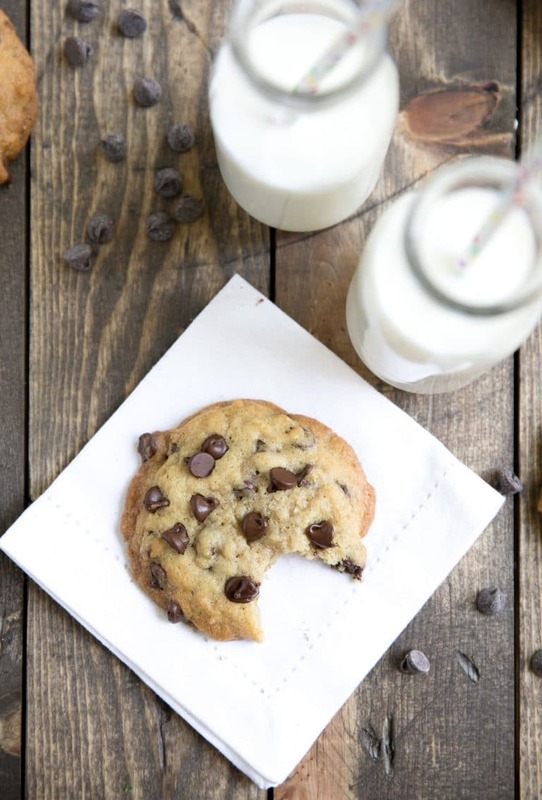 Brown Butter Chocolate Chip Cookies – soft, buttery, loaded with chocolate chips, this is officially the VERY BEST Chocolate Chip Cookie Recipe. Full transparency, I am literally obsessed with cookies. If you know me at all, you know how seriously I take my cookies. Yes, a self-diagnosed chocolate chip cookie addict, some of my other favorites include these Chocolate Chunk Cookies with Sea Salt, Bourbon Bacon Chocolate Chip Cookies, and Chocolate Chunk Almond Butter Oatmeal Cookies. But…BUT! 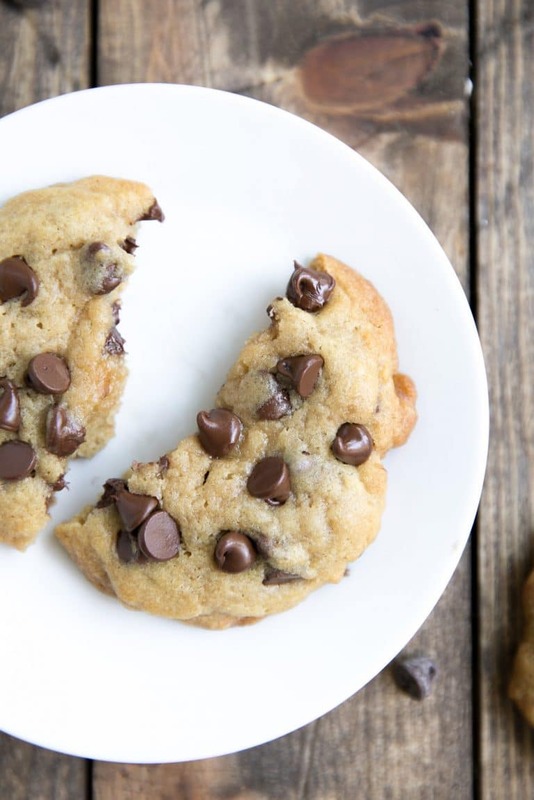 This is the best chocolate chip cookie recipe on the internet. Soft, buttery, delicious, these are the very best. Unless, of course, you like crunchy cookies. Anyway, you’re probably looking at that ingredient list and thinking, “ok, so, it looks like every other chocolate chip cookie recipe…except for that ice cube”. And you would be correct. Except that you’re wrong. You guys. Who here loves butter? So what’s the deal with the butter? But, seriously, that’s what it is. Melted and cooked in a skillet just long enough to cook the milk solids. Translation- you’re essentially toasting the butter. The result is the most magical, delicious 1-ingredient sauce that ever existed. All you need is 5 minutes. Grab a light colored pan or skillet (cast iron is not recommended here). Over medium heat melt your butter, making sure to swirl your pan for even cooking. The butter will start to foam. That’s a good thing. Then the butter will start to change color from a golden yellow to a darker, nuttier brown. Then you’ll smell…the smell. The magical, amazing nutty aroma signaling that you should probably keep a very close eye on your butter because at any moment, it will be time to remove it from the heat. Remove the pan from the heat and transfer the browned beautiful butter to a heatproof bowl to cool. It really is that easy. And brown butter? 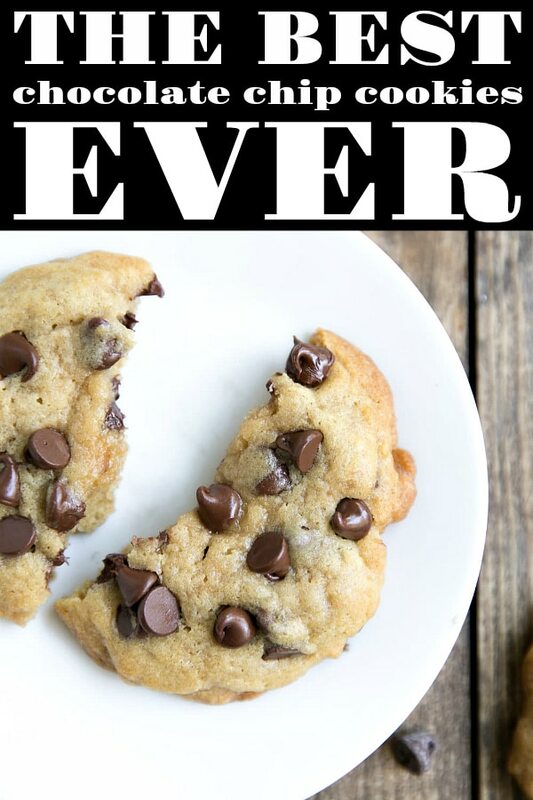 Well, it tastes pretty darn amazing on everything from fish to chicken, veggies to pasta, and of course, baked in these best EVER brown ever chocolate chip cookies. Try not to burn the butter. Refrigerate the dough for AT LEAST 4 hours before baking. Store the dough in the very BACK of the refrigerator (otherwise, you may just come back to a bowl of half eaten cookie dough). True story. Make extra. One batch is never enough. 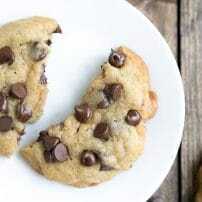 Use chunks of chocolate instead of chips. Sprinkle with just a teeny tiny pinch of course sea salt just after baking. 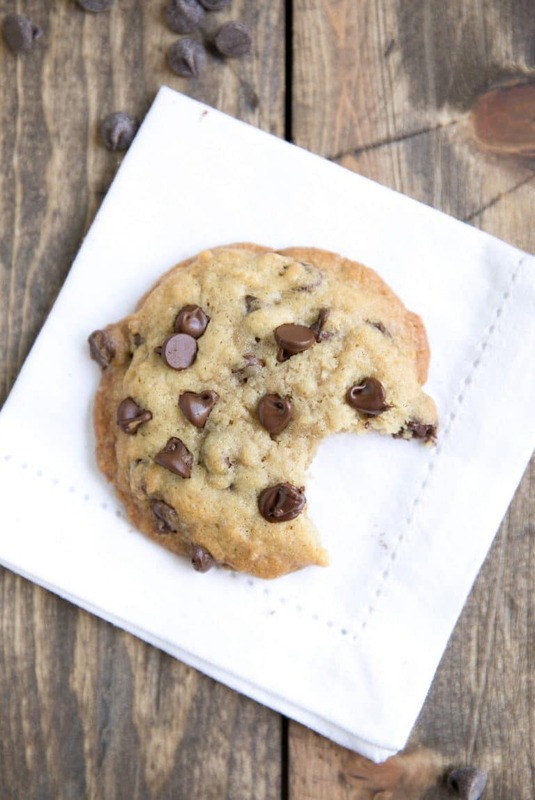 If you try making this Brown Butter Chocolate Chip Cookie Recipe, please leave me a comment and let me know! I always love to read your thoughts and feedback! 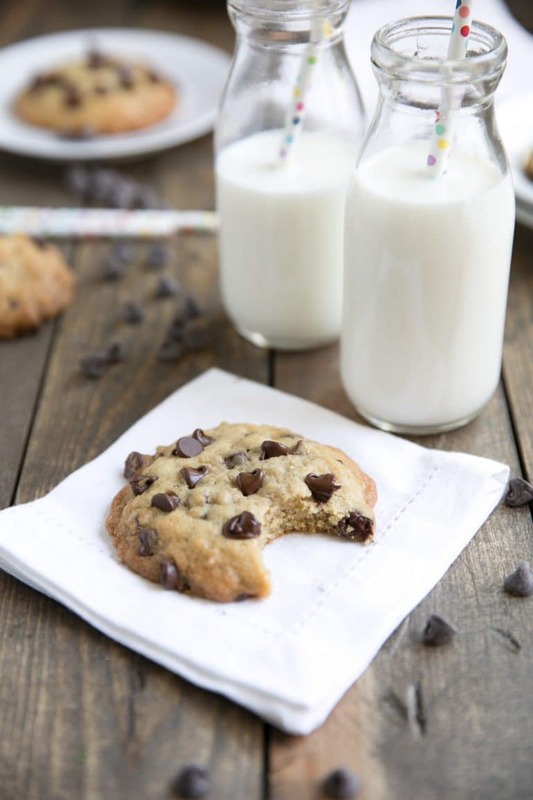 DON’T FORGET TO PIN AND SHARE THESE BROWN BUTTER CHOCOLATE CHIP COOKIES WITH FRIENDS AND FAMILY FOR AN EASY AND DELICIOUS NO-FAIL COOKIE RECIPE! Soft, buttery, and filled with chocolate chips, these (Best Ever) Brown Butter Chocolate Chip Cookies are simple, homey, and completely addictive. 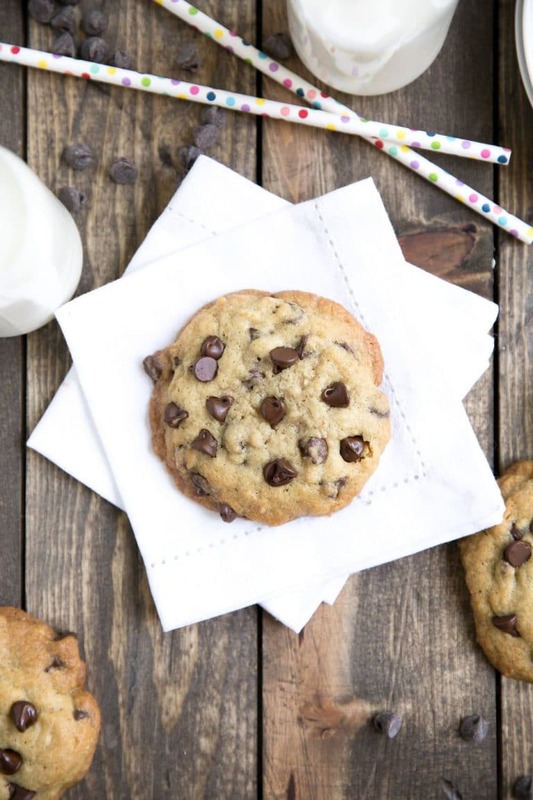 Keyword: Brown Butter Chocolate Chip Cookies, what is brown butter? In a saucepan over medium heat gently melt the butter until particles begin to turn golden and brown. To prevent burning, continuously swirl the butter in a circular motion. Remove the butter from the heat and continue to swirl around the pan until the butter is a rich brown and lightly fragrant. Immediately transfer melted butter to a medium bowl and add the ice cube. Whisk until melted and transfer the bowl to the refrigerator to cool completely- approximately 15 minutes. As the butter cools, whisk together the flour, baking soda, and salt in a medium mixing bowl. Set aside. In the bowl of a standing mixer whisk together the granulated sugar, eggs, and vanilla for approximately 4-5 minutes. Fit the paddle attachment on to the mixer. When the browned butter has cooled completely, add it to the egg mixture along with the brown sugar. Mix everything together on medium speed just until combined, approximately 15 seconds. Add the flour mixture and mix on low speed just until almost combined (small areas with dry flour are ok). 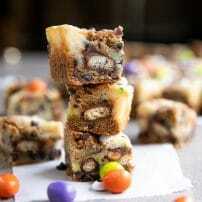 Add the chopped chocolate or chocolate chips and continue to mix on low speed for an additional 15 seconds, or just until the dough comes together. When ready to bake, preheat oven to 325 degrees F. Position the racks on upper and lower middle positions. Line two baking sheets with parchment paper and use a 1-ounce cookie scoop or spoon (approximately 2-3 tablespoons of dough in total per cookie) to carefully scoop cookie dough on to prepared sheets. Transfer baking sheets to the oven and bake for approximately 12-16 minutes, rotating pans halfway through cooking. 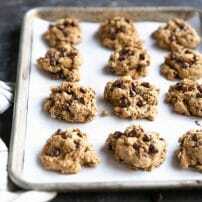 Remove pans from oven and allow cookies to cool for 1-2 minutes before transferring to a wire rack to cool completely. Repeat with any remaining cookie dough. 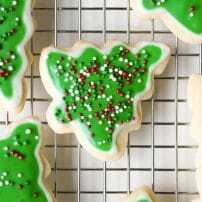 Store cookies in an airtight container at room temperature for up to 5 days. I love browned butter icing, it makes such a huge difference and now I can’t wait to try your cookie recipe ! These look super delicious…I’ve never made cookies with browned butter because I’ve always been afraid I’ll mess up, but your guide looks super simple so i’ll try these ASAP! OH MY! That first photo got me. I must make these. 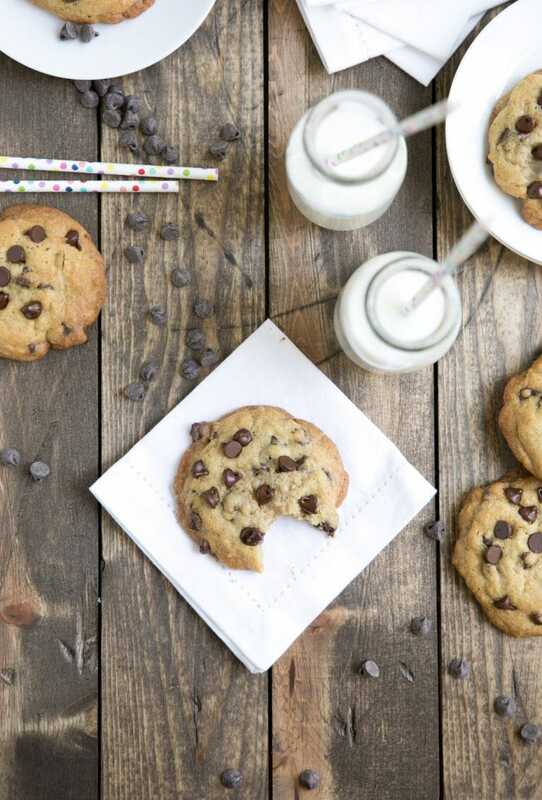 Chocolate chip cookies will forever be an eternal classic in all our hearts. Browned butter makes a huge difference! Such an easy to follow recipe. The cookies look great – thank you! Our cookies did not rise like yours. They flattened out, however they were delicious! Thank you for your recipe.